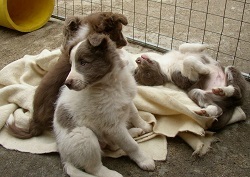 Border Collie Rescue is a charitable institution operating under charitable law in England, Wales and Scotland. 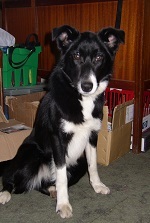 Registered throughout the UK as Border Collie Rescue - Charity No 1128983 (UK) - Charity No SC040796 (Scotland) and incorporated as a Non Profit Distributing Charitable Company No 3037504. 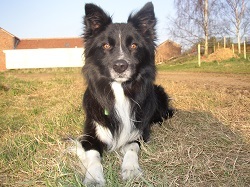 This Privacy Statement sets out the way Border Collie Rescue collects, stores and processes personal data in accordance with the Data Protection Act 1998 and the additional provisions of the 2018 EU General Data Protection Regulations, known in short as GDPR. "Personal Data" is defined as any information which can be used to identify someone as an individual person. 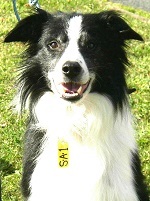 Border Collie Rescue collects personal data for a variety of purposes related to the relationship the charity has with the individual person. 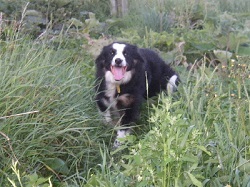 In doing this Border Collie Rescue is classed as a Data Controller. 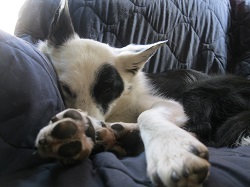 Border Collie Rescue no longer stores any personal data electronically, online or on any of its computers, other than emails and email address's. 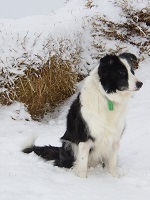 Border Collie Rescue will not share, sell or give personal data, with or to, any third party without the consent of the person to whom the data relates unless we have a legal obligation to provide such information to government or law enforcement agencies. 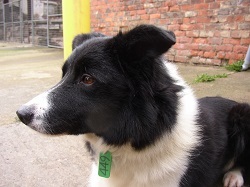 Personal data held by Border Collie Rescue is only accessible on a need to know basis to trustees, officers and staff who have have signed an agreement of confidentiality not to share or disclose such data and to keep it secure. 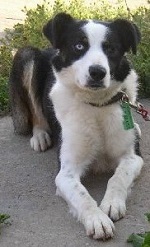 Border Collie Rescue does not partake in email, postal, telephone or other forms of mass or targeted marketing, promotional or fundraising campaigns and would only use personal data to contact individuals for the purposes set out below and in context of the charity's relationship with the individual person. 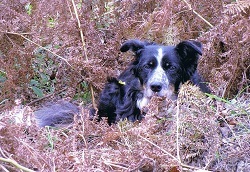 Border Collie Rescue recognises and respects the privacy of all people it comes into contact with as part of its work and does not want to retain or hold any personal information of any individual unless it is warranted for continuation of its work, the benefit of its clients or the security of the charity and its beneficiaries. 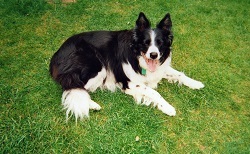 People may consent for Border Collie Rescue to hold personal data relating to them as an identifiable individual. They may consent for their data to be held and used for a specified purpose or purposes or generally at the charities discretion. Data may include their name and address, home or work landline telephone numbers, mobile telephone numbers, email address or addresses and any other contact or other personal information they consent to provide. 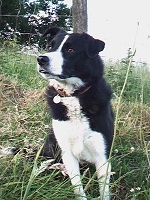 People can provide any data they wish Border Collie Rescue to hold and can remove consent for the charity to hold all, or any part, of their personal data at any time. Data held by consent will be deleted, in whole or in part according to instructions, immediately consent is withdrawn. Consent and withdrawal of consent must be in writing by email or post. 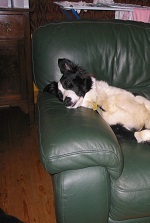 Border Collie Rescue holds personal data when there is a contractual service or arrangement between the charity and an individual and when an individual has asked the charity to initiate a possible contractual service or arrangement. 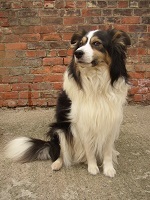 These circumstances will arise when an individual applies to the charity to adopt a dog or applies to gift their dog to the charity or applies for any form of grant or support from the charity or offers support to the charity with conditions attached by the charity or the individual offering support. There may also be other circumstances where personal data would be acquired and held for contractual or potential contractual reasons. 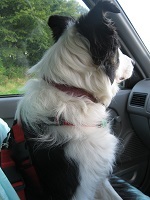 In cases where an application is made for any potential formal contractual service or arrangement, Border Collie Rescue will take the applicants contact name and address and issue a form to facilitate the application. When the form is issued the applicants details are destroyed. No personally identifiable data is held at this stage. If the applicant returns the form the charity will hold the form as supplied for a period of one month from its receipt in order for the applicant to phone the charity, verify receipt and 'activate' the form in order to proceed with the application. If the applicant fails to 'activate' their application within the month, all personal details are physically removed from the form and destroyed. Non-identifiable information provided on the form may be retained for reference and statistical purposes. Once an application is 'activated' the information on the form is held until the contract is implemented or until the individual cancels their request for a contractual service arrangement or until a period of 12 months has elapsed. At that point all personal details are physically removed from the form and destroyed. Non-identifiable information provided on the form may be retained for reference and statistical purposes. If other information has been acquired from other sources about the applicant for the purposes of enabling the requested contractual service or arrangement to progress any information identifying any individual will be destroyed. If the application results in a successful contract being drawn up between the charity and an individual all personally identifiable information provided by the individual, by third parties on behalf of the individual or acquired by the charity from other sources that is relevant to the contract is retained for the duration of the contract. On termination of the contract all personal details relating to any individual held in relation to the contact is removed and destroyed. Non-identifiable information provided on the form may be retained for reference and statistical purposes. The duration of a contract will depend on the nature of the contract. If a dog is adopted from, or gifted to, the charity both contracts will remain effective until the death of the dog, at which point any personally identifiable data is removed and destroyed. 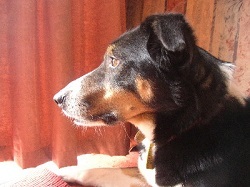 If the dog is returned to the charity for any reason the contract of the adopter will cease but while the dog lives the contract of the individual who gifted the dog continues in effect. 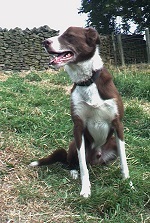 In both cases, and in any other situation where personally identifiable details are held in relation to a dog, these details are held in a file indexed by a reference number issued to the dog and are kept on paper other than email addresses which may be kept in an electronic address book on a computer. 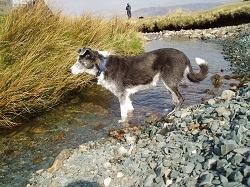 If the charity is not informed of the death of the dog, it's death will be presumed to have occurred at 18 years of age, to be calculated from the date given as the dogs date of birth when gifted or estimated if no other information is available. In some circumstances an exchange of emails or letters will form a contractual relationship or the intent to form a contractual relationship without the need for a formal written contract. For the purposes of legal accountancy records, cheque payments to the charity are recorded in our paying in books by name. In some cases cookies only help a website look better or stop irritating pop up boxes appearing when you move from page to page. 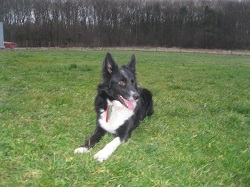 Other websites - Running with Dogs - Information about running with your dog. 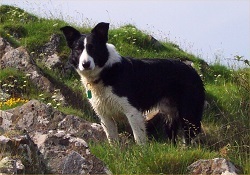 Border Collie Rescue Scotland is the official website of this breed rescue organisation in Scotland.